Support our vision of An engaged, vibrant and healthy Urbandale! For more than 19 years the Urbandale Community Action Network (UCAN) has been improving the lives of residents in Urbandale through our Caring Corps Programs. In 2009, the organization took our current name of UCAN and added more programming! We promote efforts to enhance the lives of Urbandale residents through our leadership on the Centennial Steering Committee, Urbandale Miracle League Committee, UCAN’s Friends of the Parks, Silver Cord Program, uFit, Citizen University and by organizing many free family and community events. Our organization provides mentoring opportunities for at risk students, assist elderly and shut in residents with transportation, provide yard clean up, facilitate back to school immunization clinics and classes for English Language Learners. We also provide fun community events such as Movies in the Park, Neighborhood Ice Cream Socials and the Fall Frenzy. 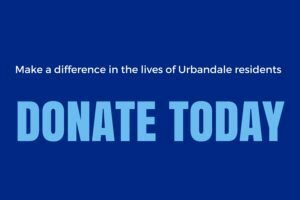 UCAN, like every non-profit organization, relies heavily on a core of faithful supporters and friends whose annual financial commitments support our efforts to improve and enrich the lives of Urbandale residents young and old alike. Without our supporters, these programs would simply not exist. Today, more than ever, human services and community betterment programs need support from everyone, but particularly from those of us with the means to give. Together, we can ensure that UCAN continues to engage and inspire our community for the benefit of our neighbors, friends, children, parents, grandchildren and grandparents for many years to come. As a non-profit 501(c) 3 organization, UCAN is proud to be able to accept tax-deductible donations.